High-fidelity diagnoses thanks to top-of-the-line LCD technology featuring high resolution, high contrast and perfect geometry. Worry-free Quality Assurance and maximum uptime of your workstation via the user-friendly ‘MediCal QAWeb’ solution. Consistent image quality and continuous DICOM-accuracy at all times with the integrated I-Guard sensor. Exceptionally long lifetime through DuraLight backlight technology – 3 to 5 times longer than conventional backlights. 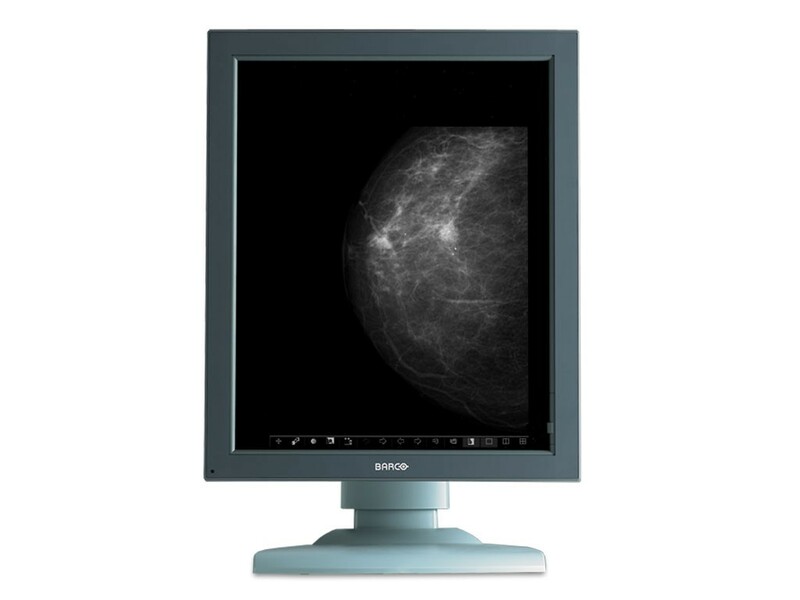 Pixel-perfect mammography reading Equipped with top-of-the-line LCD technology, the system offers radiologists highly accurate grayscale images with high resolution, high contrast and perfect geometry. Innovative technology, such as 'Per Pixel Uniformity', ensures pixel-perfect images, without disturbing screen-noise, which might hide subtle details. Ultimate grayscale accuracy The 12-bit DICOM look-up table produces 1024 simultaneous shades of gray. This provides radiologists with a higher level of diagnostic precision, making it possible to detect the most subtle of details in digital mammography images. Lasting precision Thanks to the DuraLight backlight technology, Coronis 5MP Mammo has a lifetime that is 3 to 5 times longer than conventional displays. The preferred choice for digital mammography These benchmark technologies have made Coronis 5MP Mammo the preferred choice for training and screening centers worldwide. The MDMG-5121 replaces the MFGD-5621 HD.